Moving ahead with the first concept and proposed color scheme we fleshed out (no pun intended) a good portion of the illustration to show the desired style and aesthetic. 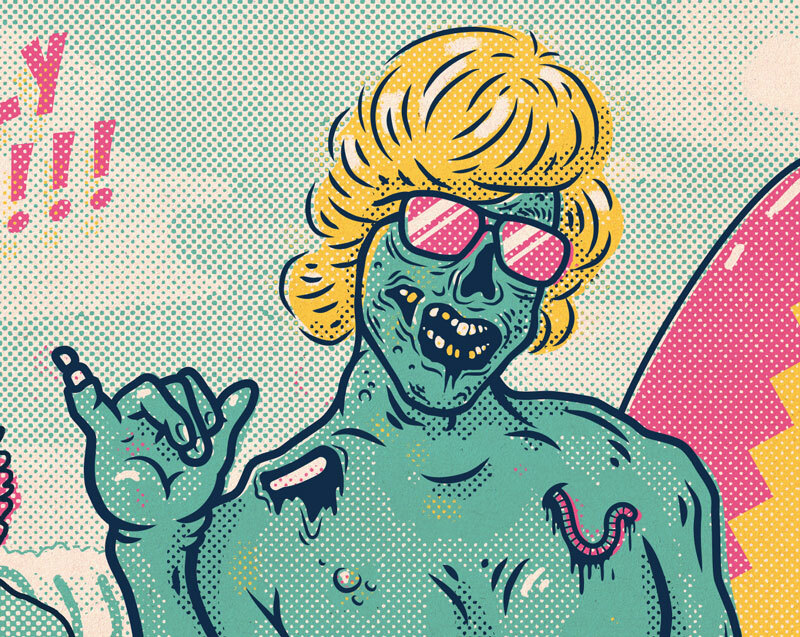 The front center zombie is 95% rendered as an example to how the other two (which are still just sketches) will look. We just threw some silly/cheesy comic secondary copy in there. If there was another, more serious, direction you wanted for these areas just let us know. 2. At this point the illustration is only 4 colours. We think it could certainly work with 4 if it would save some $ on your printing costs, but if more colours isn't much more $ we can show some options with more in the next round. 3. You can see in the close ups that we utilized some old printing effects to heighten the vintage comic feel. Note: the slight off-registration and of large halftones. Some of the forced off-registation creates overlays (seen in the "35c" , "No.01" and the "Hanging Ten") this may or may not be an option with your printer. 4. We tried to add in just enough ridiculous humor and over-the-top cliche 80s-ness to keep everything fun and not gross or scary. You can also see how the halftones allow us to create shadow and highlights without adding more colors. 5. 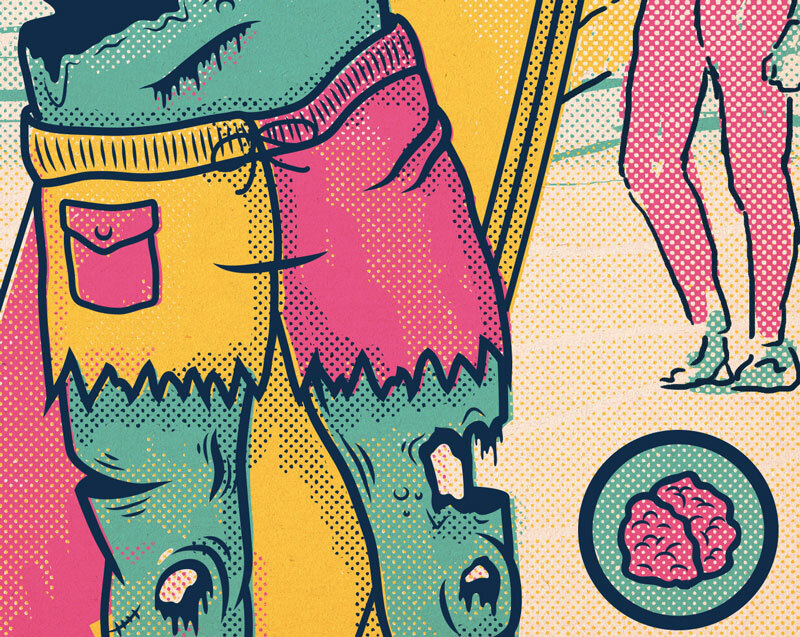 Lower half of main zombie. 6. Corny copy and made up copyright. 8. New mock-up, 4 colours.